HICKORY, NC (August 21, 2014) –Transportation Insight has solidified its position as one of the nation’s fastest-growing and largest Enterprise Logistics Providers with its seventh consecutive appearance on the exclusive Inc. 500|5000 list of fastest-growing privately held companies in the United States. By appearing on the prestigious Inc. 500|5000 list seven straight years, Transportation Insight has been recognized as part of the Inc. 5000 Honor Roll, a designation for a select few companies who have been honored on the Inc. list for at least five years in a row. 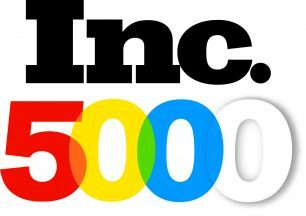 Only 388 of the 5000 companies on the 2014 Inc. list have been honorees among this elite group of prominent brands for seven years or more. Transportation Insight’s sustained rapid expansion is a particularly notable achievement for a company in its 15th year of doing business. Founded in 1999, Transportation Insight has been nationally recognized for its achievements in supply chain analytics, Insight F usion® Big Data solutions and Extended LEAN® continuous improvement methodologies. The North Carolina-based company has thrived through several of the most challenging years in the American economy. The lead logistics provider expects to further fortify its place on the Inc. Honor Roll, as it implements its growth strategy branded Vision 20/20. The plan outlines Transportation Insight’s goal to become a $3.5 to $5 billion company by January 1, 2020, through continued aggressive organic and acquisition-related expansion.